We all have to eat. At Concordia, you can eat with a little more peace of mind. 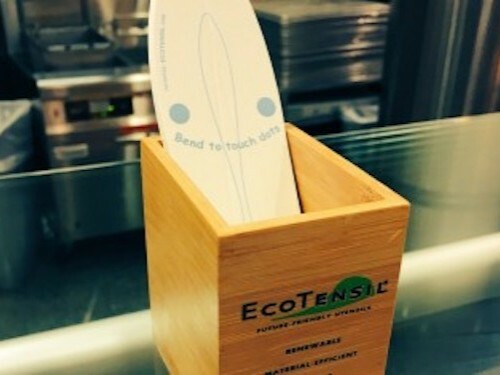 Concordia's Dining Services is leading the way in setting new sustainability standards. Anderson Commons went trayless in 2009, to encourage students to only take what they plan on eating, and soon saw a 26 percent decrease in the amount of food wasted. This efficient move saves the campus 200,000 gallons of water each year and eliminates 150 pounds of wasted food each day. We collect data during each meal period and are constantly updating the portion size of our menu items in order to minimize food waste. We are also intentional with food purchasing by buying ingredients that can be used across the entire department. For example, we serve fresh bananas in Anderson Commons. 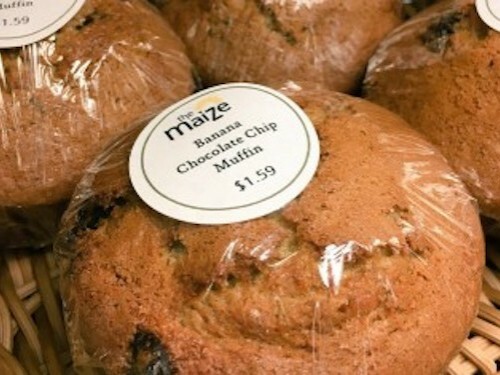 When those bananas are overripe, they are made into banana bread and banana chocolate chip muffins. Dining Services partners with suppliers, such as Reinhart Foodservice, Fresh Connect and Dakota Pasta Growers to use local items in our recipes. From chicken farmed out of Minnesota to organic potatoes from local growers to honey sourced right here in Moorhead, we purchase local food whenever possible. Dining Services is also committed to making ethical purchasing decisions. For example, all of the coffee served in Anderson Commons, at the Maize and by Catering by Concordia is certified fair trade. In October 2016, President Craft announced Concordia College’s goal to reduce food waste by 50% by the year 2020 – 10 years earlier than the national goal set by the United States Department of Agriculture (USDA) and Environmental Protection Agency (EPA). 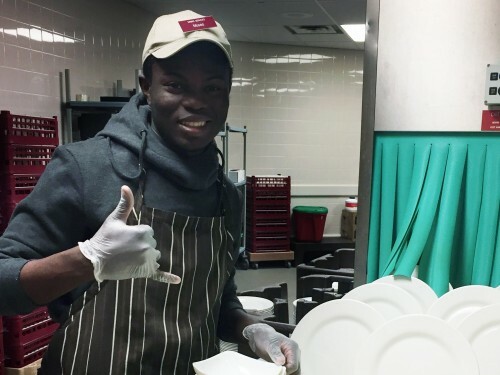 Dining Services is committed to meeting Concordia College’s plate waste reduction goal. 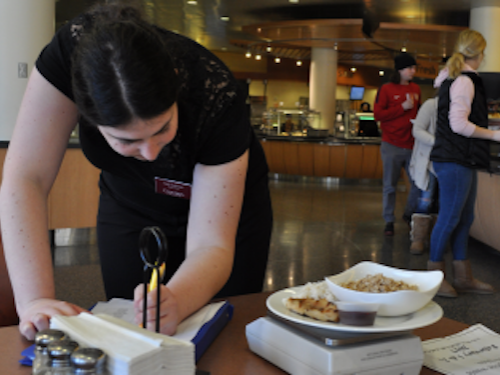 Since 1999, Dietetic Interns have been conducting plate waste studies in Anderson Commons. Starting in October 2016, this data has been used to increase awareness of the issue. 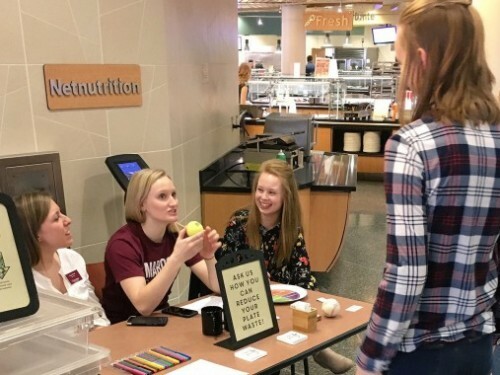 Together with an education campaign on campus called Taste Not Waste, Dining Services hopes to empower students to help reach Concordia College's plate waste goal and change the culture of sustainable dining on campus. Tasting spoons are available in Anderson Commons. This encourages students to try new foods before they take a large portion of something they may not like. The single-use utensils reduce the amount of costly waste, impacting our planet and future generations. Help the Maize be more sustainable by participating in our Green-to-Go program. Pay a refundable $5 deposit in the Maize to receive a Green To-Go card. The card can be traded for a Green-to-Go container. Dirty containers are returned to the Maize and washed for you! When you return your container, you receive a card and the process starts over. 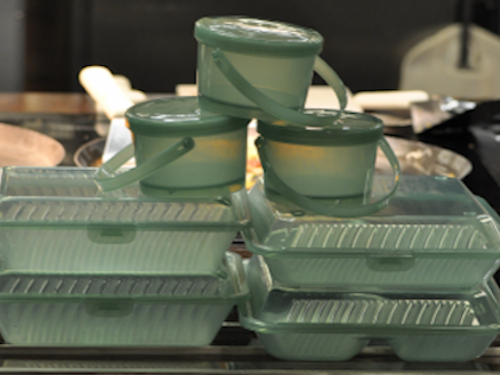 It’s an easy way to reduce the waste of paper and plastic to-go containers. If you ever want to cease participation, simply return your card and receive your full deposit back. 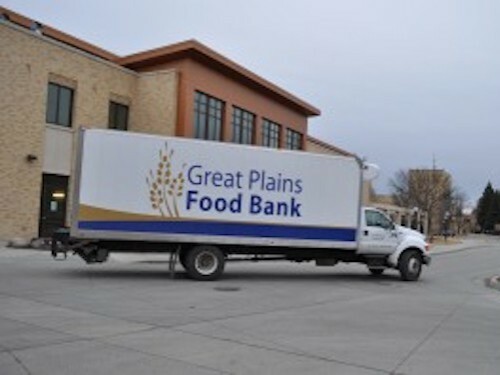 We are proud to partner with the Great Plains Food Bank by donating uneaten food to those in need. As one of the food bank’s oldest partners, Concordia College donated roughly 1,400 pounds of food last year alone. Donations are picked up from the Knutson Campus Center every other week. Dining Services recently installed an energy-efficient dishwasher. 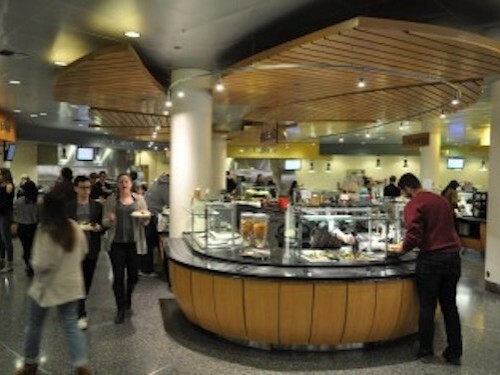 In addition, Dining Services switched from plastic to permanent salt and pepper shakers, cleans floors with chemical-free solutions, uses energy-efficient ventilation systems in the kitchen and continues to research local and organic food options.